This bag is a prototype for a project one of my sons and I are working on. I've made plenty of fabric baskets, drawstring bags. tote bags and even Easter baskets, all with boxed corners, but I've never combined boxed corners with a zip. 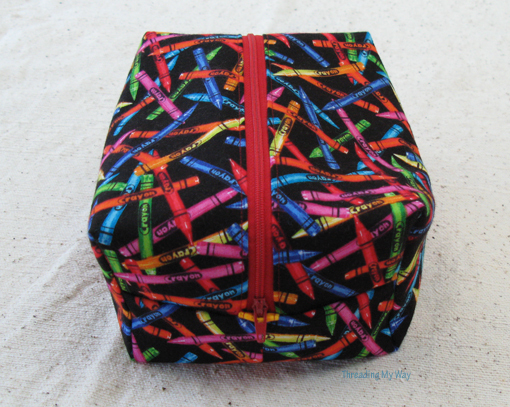 Rather than spending the time to work it out, I looked for a tutorial and came up with the No Guts Boxie Pouch, a free tutorial on Craftsy. This was my first download from Craftsy. You need to create an account to sign in and download anything. 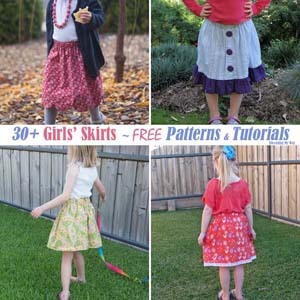 I've only had a quick look around, but it looks like there's a wealth of free tutorials and patterns, as well as patterns you can pay for and even classes to take. (No, I'm not being paid or sponsored.) What I really liked, were the reviews under each tutorial! The reviews for the No Guts Boxie Pouch were all positive, however, a couple of the reviewers said they had a few problems with the instructions... nothing major, so I thought I'd give it a go. I also found one section of the instructions in particular was not totally clear... after inserting the zipper and before making the boxed corners. The pictures didn't help, either, as the stitching was not visible. Eventually I worked it out, without any unpicking being necessary. In retrospect, I can see what was meant, and it's really quite easy to do, however, I felt that the directions weren't specific enough. Once past that section, the instructions were easy to follow and the pouch came together quite quickly. I'm not sure if I mis-measured the tabs, but you can see from the photos that mine are not long enough to grab while pulling the zip. One other reviewer also had this problem. The instructions for inserting the zipper were very clear and easy to follow. Because of the construction of the bag, there's no worrying whether the ends of the zip will sit correctly or not either. Even though the instructions said to use a lightweight interfacing, I went for a medium weight. With either a light weight or medium weight, this makes a very soft bag which is easy to fold up when not in use. For the purposes of taking photos, I put some towels inside the bag, even though it does stand by itself. I'm very pleased with how this little bag has turned out. It's fully lined and so there's no seams showing inside. Would I use the tutorial again? Yes, I would. Working from this prototype, my son and I have worked out a few changes to the next bag. We just have to do the Maths to make the bag a different size. Funnily enough, my adult son doesn't want this particular bag. The kids will be scoring this one. 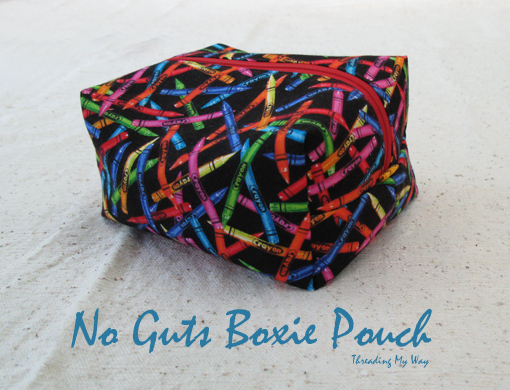 My No Guts Boxie Pouch will be joining the 100+ bags already added to the Purses, Clutches and Pouches link party. Nice one Pam! 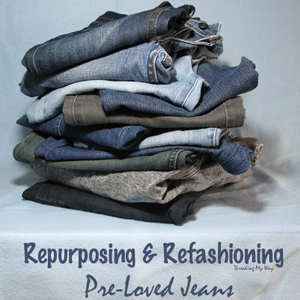 I'll have to check it out - I'm keen to do a box pouch using patchwork. How big did this bag turn out? 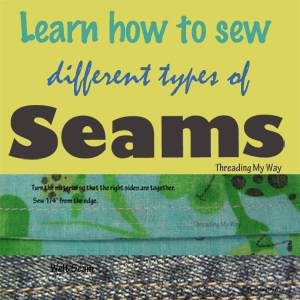 I was thinking it might be good for sewing accessories. Love the bag AND the fabric! I've made a few boxy bags. They make great travel bags. Love that fabric - lots of fun! About the math - I have a hard time visualizing that in my mind - I actually keep an empty cookie box downstairs to hold and calculate on when I want to do size changes, LOL. Works for me! He didn't want a boxy bag with crayons on it?? Why ever not? 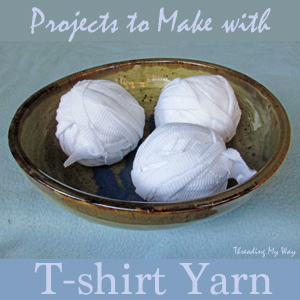 ;) I've wanted to try my hand at making one...I'll have to go take a peek at the tutorial. This bag is fabulous, Pam! I would love to try one, although I'm not sure that I have the expert eye you do to figure it out without really good instructions. Thanks for the tip on Craftsy. You're the second person I've been hearing from regarding these tutorials and I think I'm going to check it out. Hope your son enjoys his new bag! 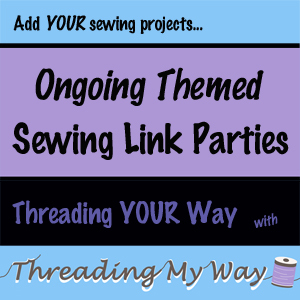 Thanks so much for sharing this fun project at A New Creation link party this week, Pam. Always an honor to have you link up with me! So cute and the fabric is adorable. 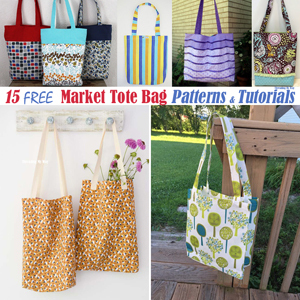 Craftsy is a great resource for free patterns Pam, I have already downloaded that pouch but not yet made one so thanks for the tips. I love it! 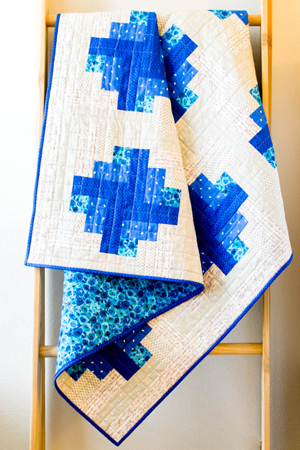 I'm on craftsy, I really like it, and patternreview.com. I love your bag! 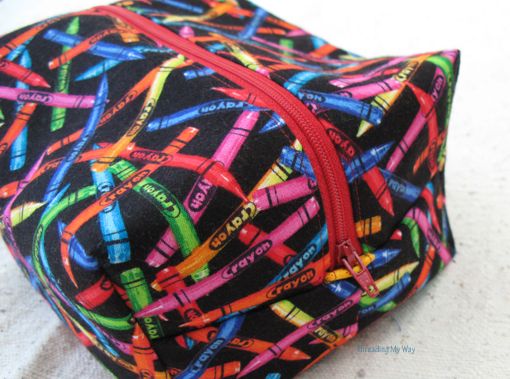 I need the crayon fabric! Bellas been needing something for art supplies. Great job! 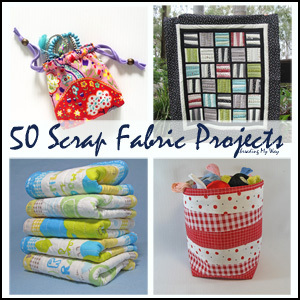 what fun fabric! And thanks for the review. I've been wanting to make something like this for a while. I always seem to find the best patterns from you! Beautiful, I love the fabric and the shape! You did a nice job! Love the boxed bag and the fabric. I have never made a bag this shape, I think it may be next on my list. It looks great! 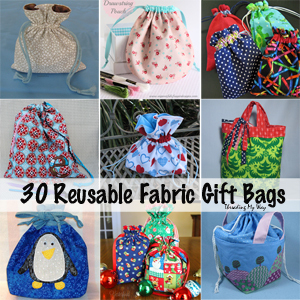 I have been seeing similar bags on pinterest and plan to make one. 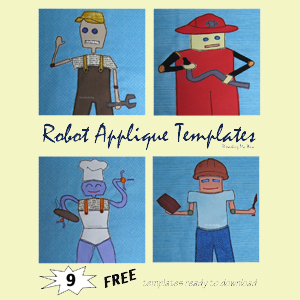 Ooh I can make one of these for all my sons crayons or puzzle pieces! I love the sturdy shape of it. Thanks for sharing where you got the pattern! That's a great little pouch Pam! LOVE the fabric! This is a gorgeous pouch, Pam! Love it and it's fabric! Very cute! I am always looking at pouch patterns but have only ever made a simple zip top pouch. 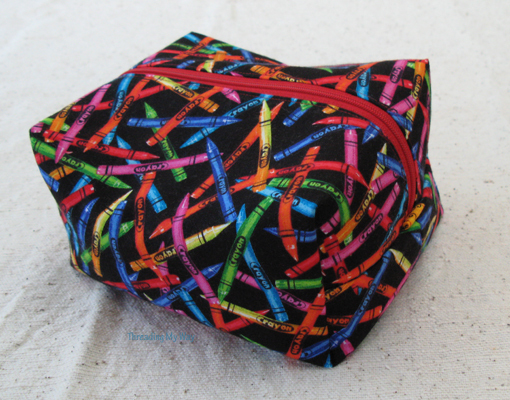 And I love the fabric, I have been eyeing crayon fabric similar to that for a Miss Frizzle dress project my friend and I are working on!